Welcome to the website of the department of Pharmacology & Toxicology at Maastricht University. 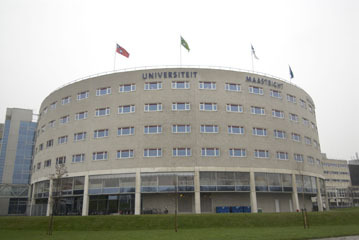 The department is part of the schools for Nutrition and Translational Research in Metabolism (NUTRIM) and the Cardiovascular Research Institute Maastricht (CARIM). Our research primarily focuses on metabolic and chronic inflammatory diseases. At the Department, a multidisciplinary team of biologists, chemists, pharmacologists and toxicologists is working together to study the role of redox processes in drug toxicity and in pathologies of the lung, the cardiovascular system and the liver. Moreover, the possibilities for therapeutic intervention are explored. The research is performed on a (bio-)chemical, cellular, organ or whole animal level. Also clinical human research is performed.